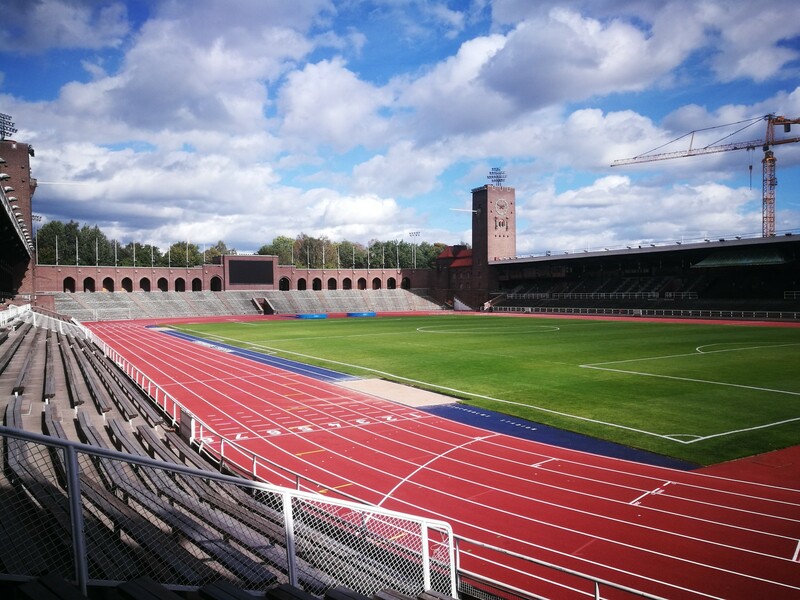 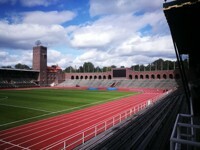 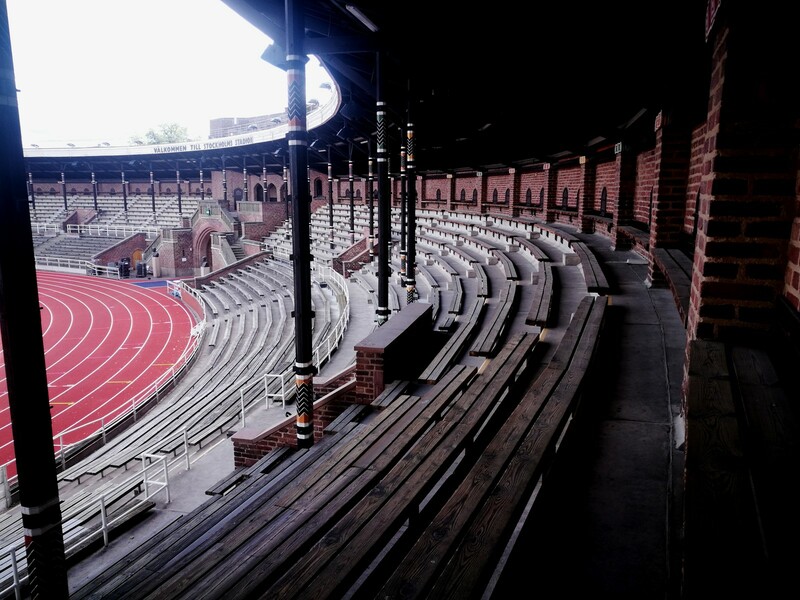 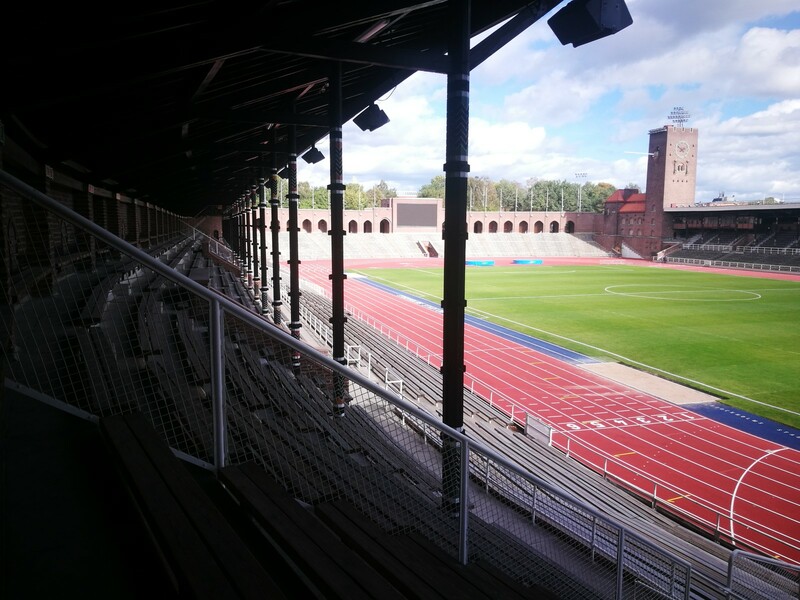 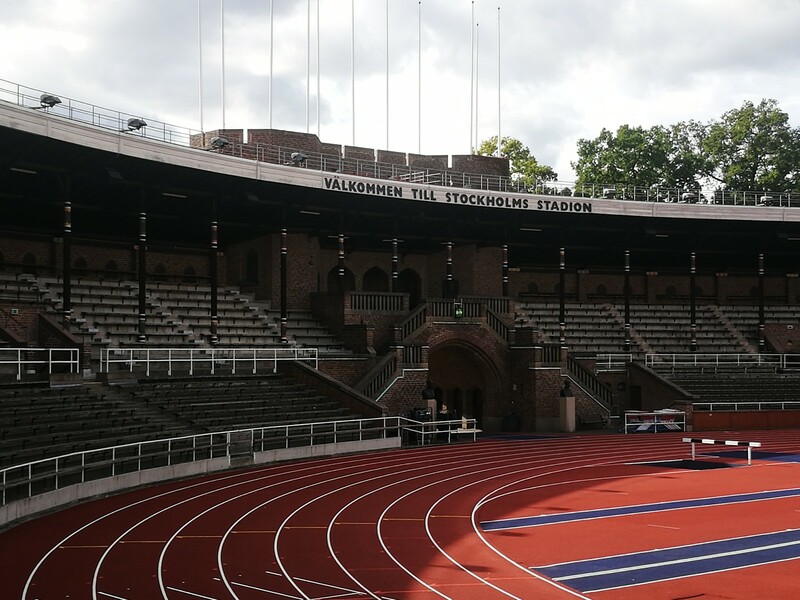 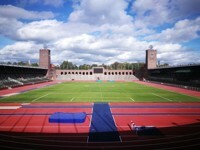 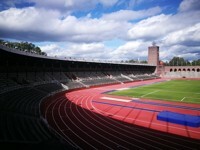 When Stockholm was granted the 1912 Olympics back in 1909, they had no stadium in the city. 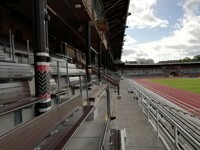 The need for one was apparent, though initially there was a plan to establish a temporary wooden structure. 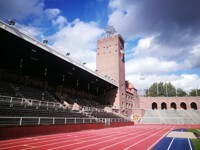 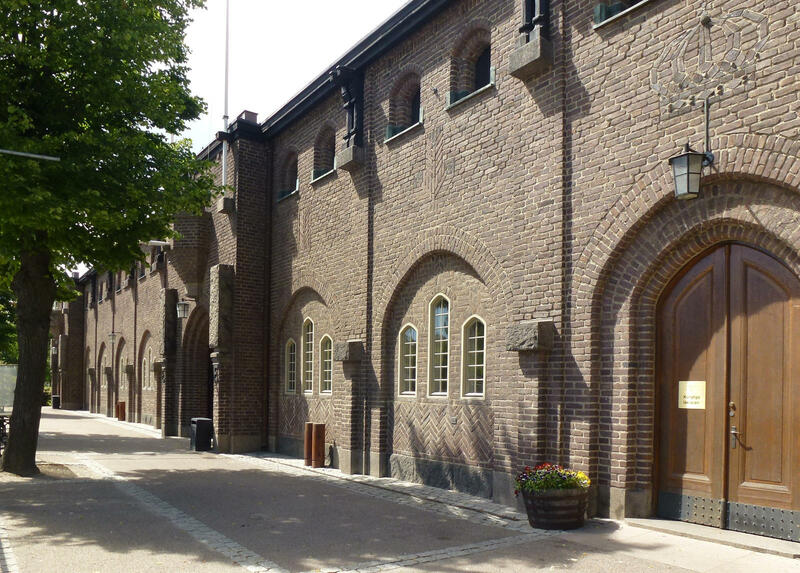 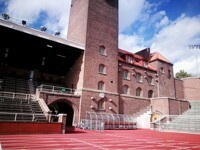 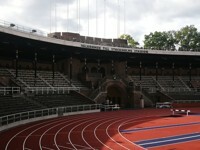 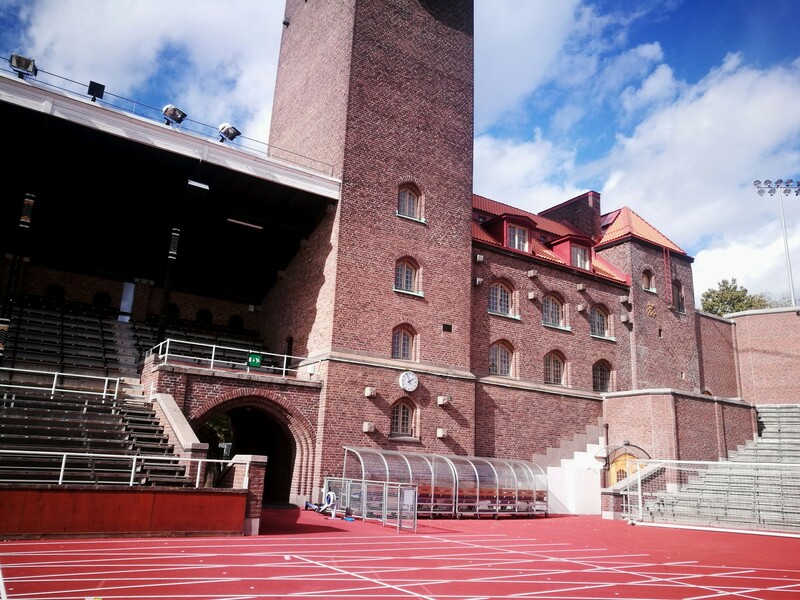 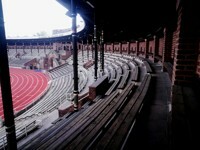 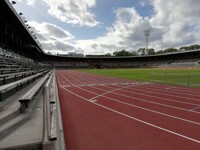 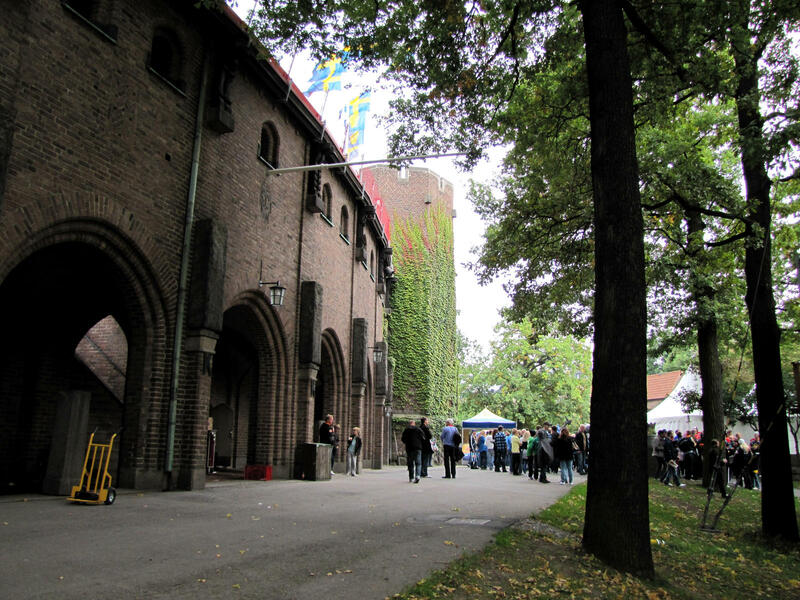 Instead, however, a monumental venue was set up of dark Helsingborg brick. The architect behind it was Torben Grut, who mixed various concepts, basing the venue on a horseshoe shape of the ancient stadiums and making its external walls resemble fortified city walls. 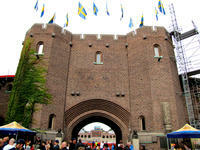 To the north two towers were built, west one containing a decorative clock. 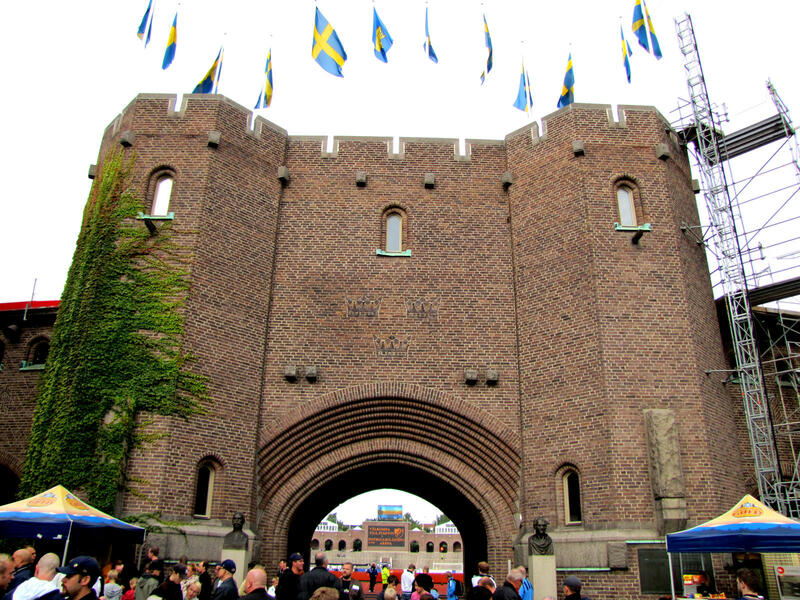 Main entrance gate to the south resembles a castle gate, with extra charm provided by numerous decorations incorporated into the façades. 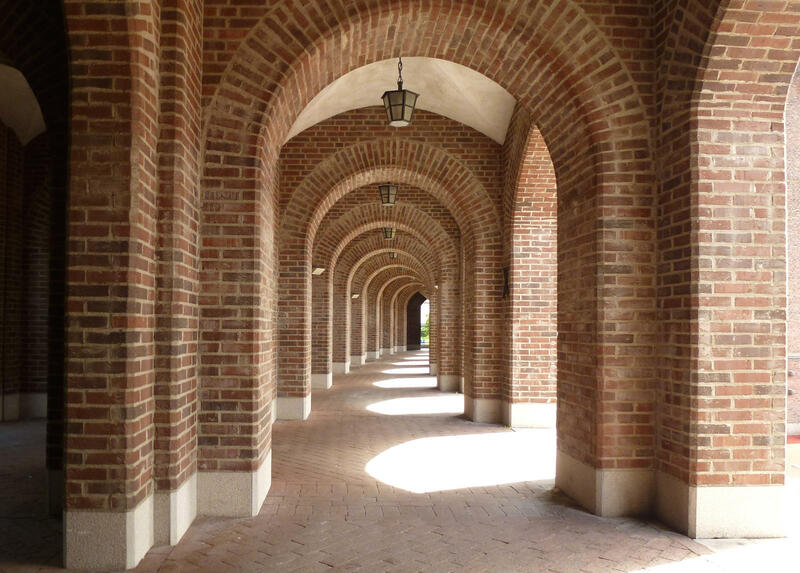 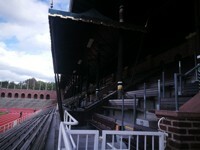 Roof over the horseshoe stands is supported by wooden pillars and covers less than half the capacity, with a distinctive copper canopy over the royal box. 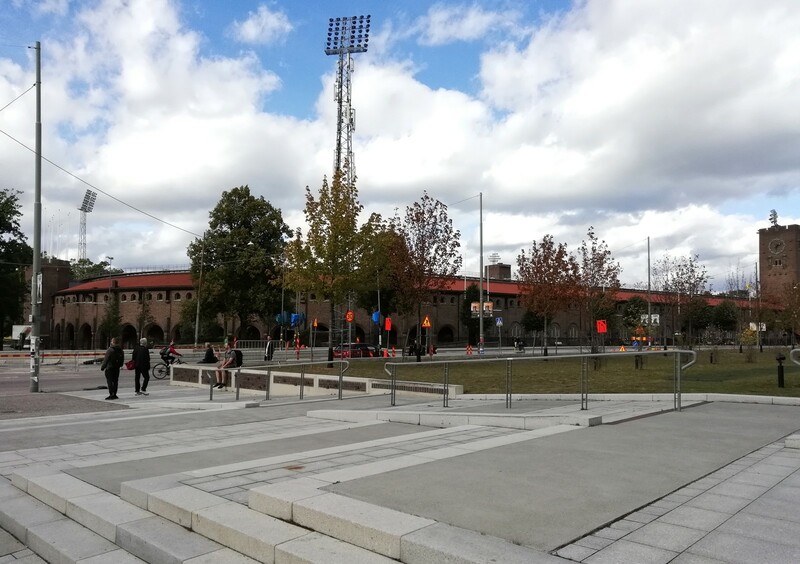 Due to high percentage of wood used in the building, it was vulnerable and went through two major fires, losing the western stand (1954) and eastern (167), which were both reconstructed with similar amount of wood despite the incidents. 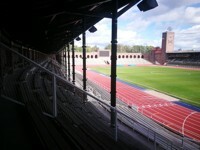 Initial capacity for the 1912 Olympics was 22,000 thanks to placing a temporary double-tier stand to the north. 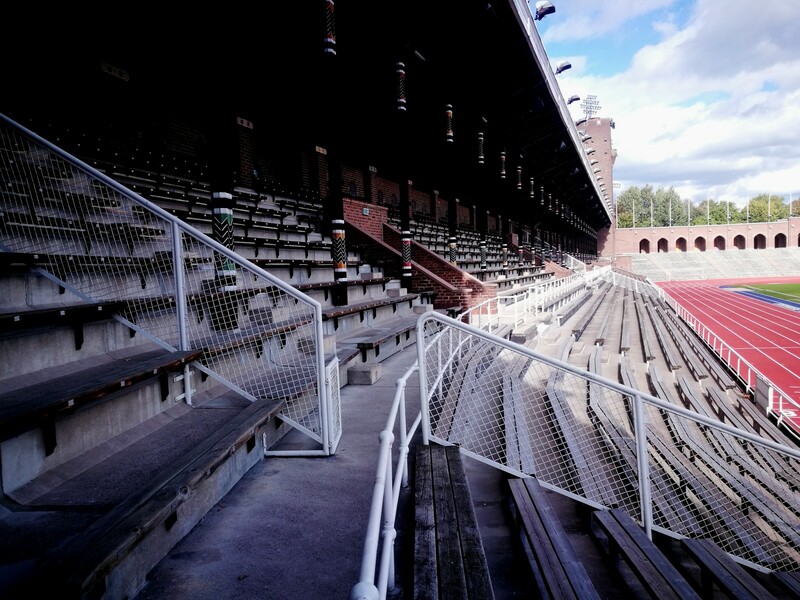 Later on the upper tier was dismantled and impressive arcades were built behind the lower tier. 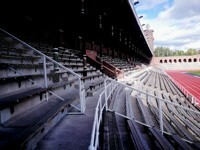 The upper tier came back again in 1958, this time with a different design. 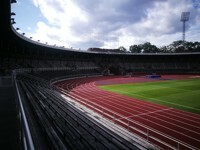 With terracing being common, capacity could reach up to 27,000 for football. 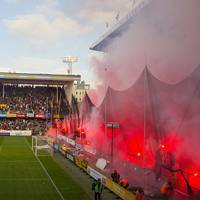 However as the twenty-first century came, the upper tier was destroyed yet again. 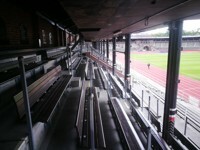 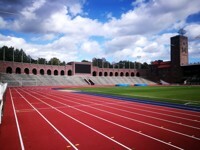 With wooden seats installed during the centenary refurbishment of 2011-12, capacity went down to just under 14,500. 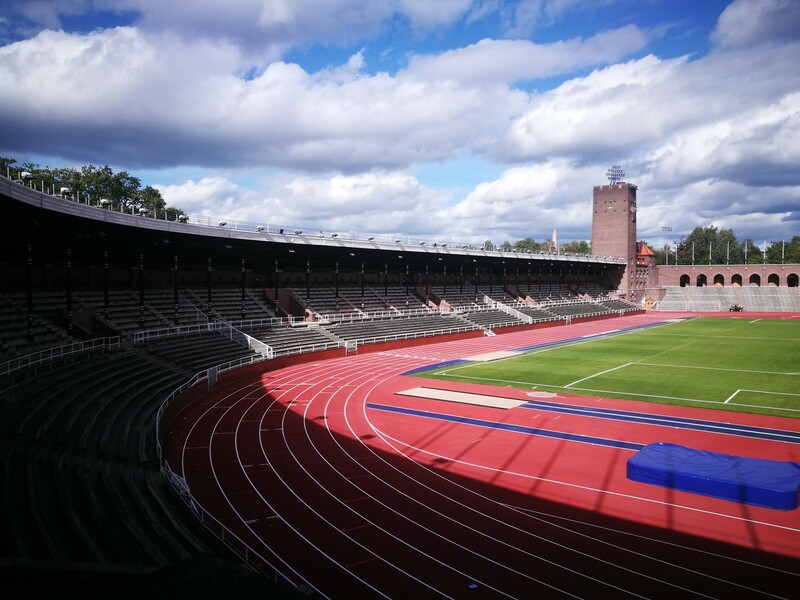 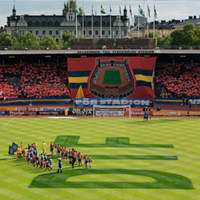 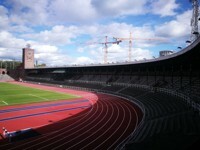 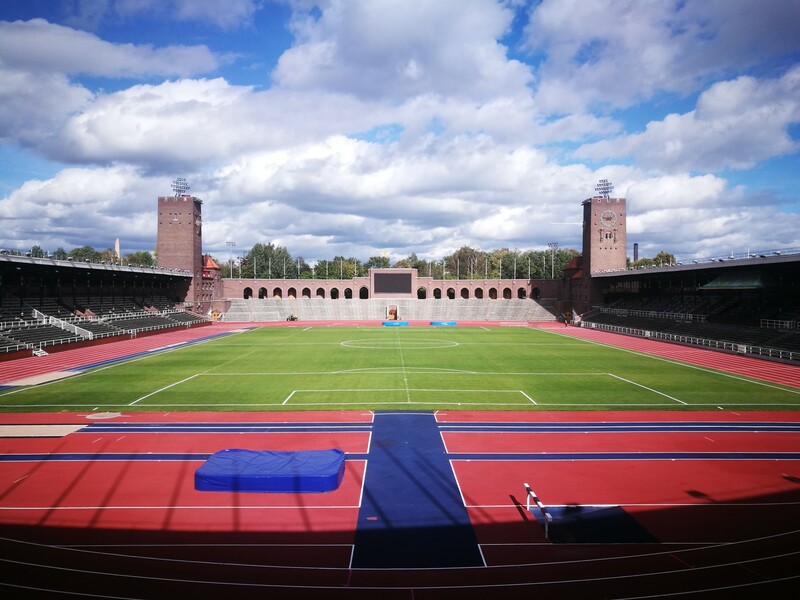 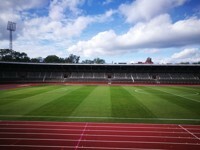 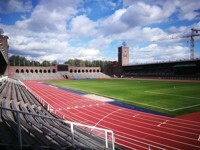 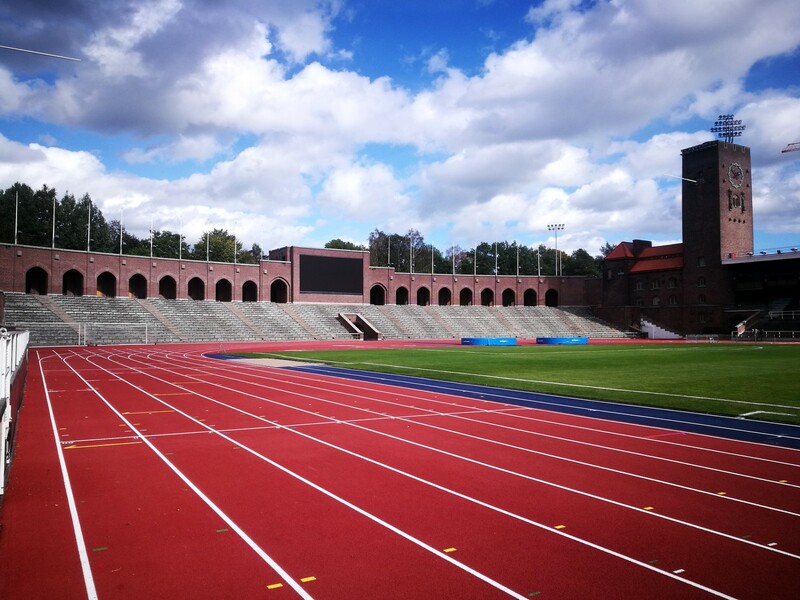 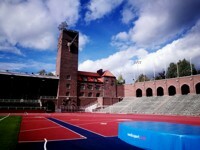 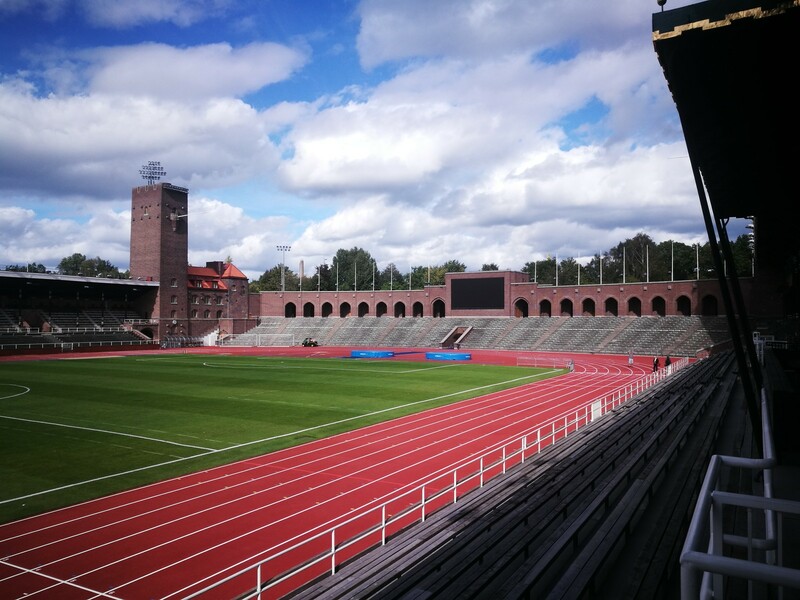 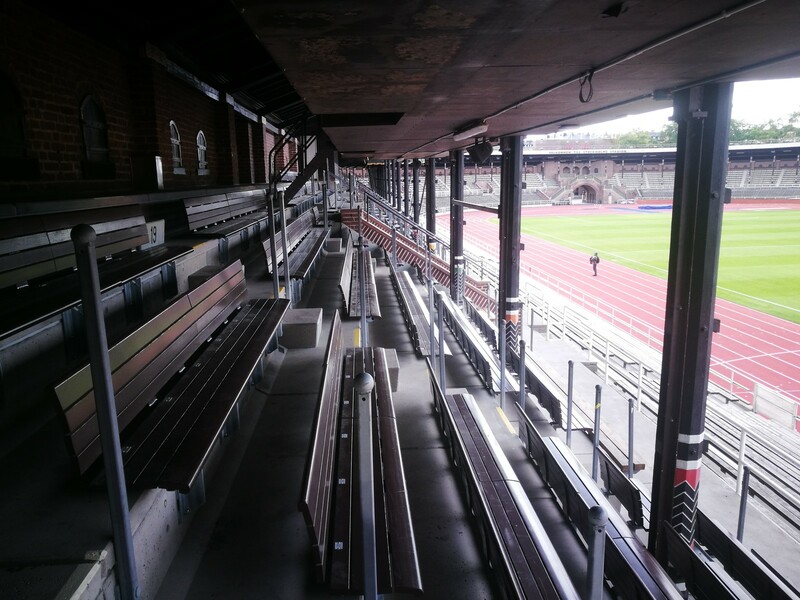 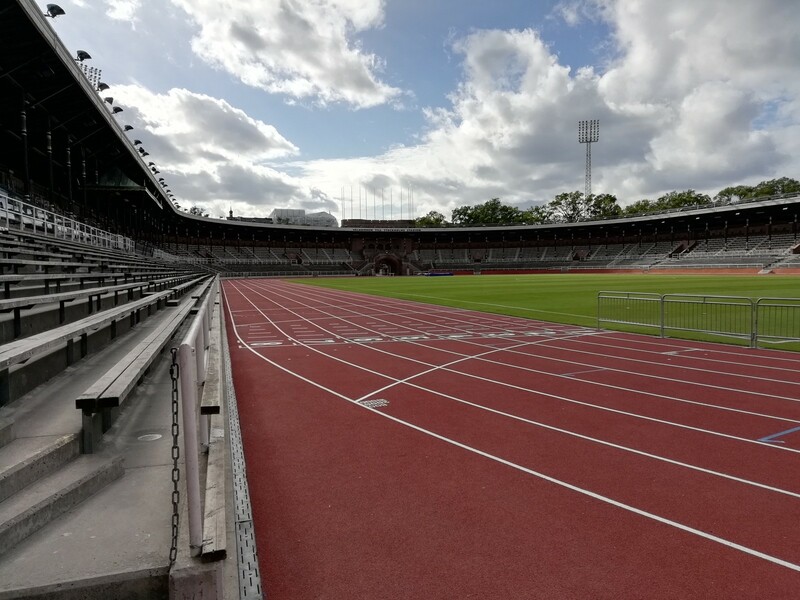 To increase capacity again, city of Stockholm and host club Djurgardens analysed the possibility of removing the pitch and sinking the pitch further down to make room for a football-specific layout with more rows between old stands and the pitch. 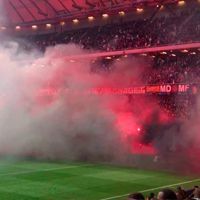 This never happened, though, as such a move wasn't viable. It's hard to find another stadium like this worldwide, looking almost identically today as it did over 100 years ago. 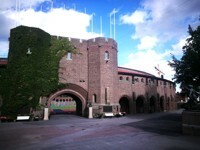 But this doesn't mean it cannot hold events successfully today. With various amendments (like floodlights incorporated into the towers) it still hosts Allsvenskan games, as well as non-sporting events. 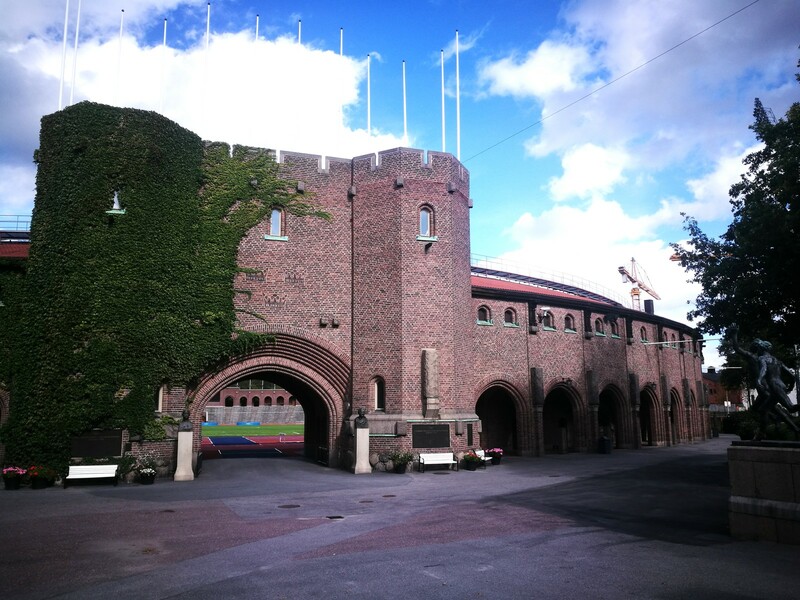 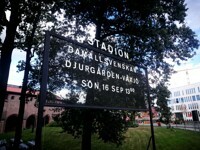 01.07.2013 Stockholm: Brilliant farewell of Stockholms Stadion! 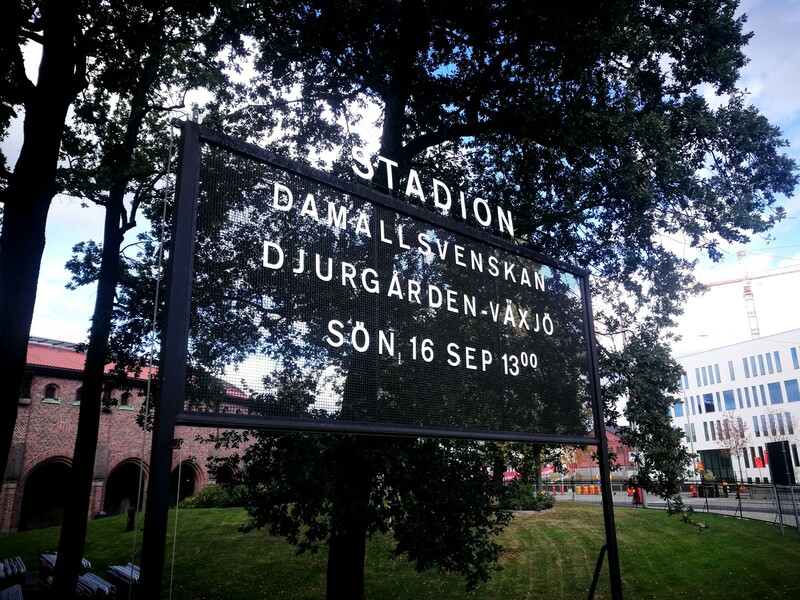 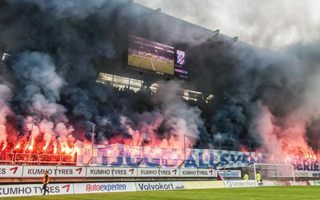 After 77 consecutive seasons at the stadium, fans, players and officials of Djurgården bid farewell to one of Europe's most iconic stadiums, the Stockholms Stadion. 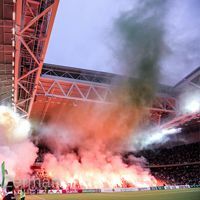 The party was truly memorable and the sentimental atmosphere will be hard to match at Tele2 Arena.